Looking for Fuses? Get a quote fast. Your electrical system’s first line of defense and distribution. Circuit breakers and fuses are some of the most important and most common pieces of electrical hardware. While they are both automatic safety devices that detect short circuits and overloads, halt the current, and protect the circuit from damage, most of the time fuses (UL-248, IEC 60269) need to be completely replaced after a short circuit/overload. Fuses are used to protect circuits in a number of applications including motor circuits, lighting circuits, electrical distribution circuits, heating systems, and more. The working principle of a fuse depends on a small wire or metal strip between 2 electrical terminals that melts when it detects an overload. This then cuts off the current, and since in most cases that small wire cannot be repaired, the entire fuse needs to be replaced. Used across almost every application and sector that requires electricity, including residential, commercial, industrial, automotive, and marine, current ratings for fuses range anywhere from 15A to as high as 10,000A in heavy duty applications. Other specifications to consider in a fuse are breaking capacity, rated voltage, and class. Further, different classes of fuses have different properties. For example, Class CC fuses are current limiting that have rejection tips on the bottom, while Class H fuses are a one-time use fuse that are non-current limiting, and Class T fuses are only available as a fast acting fuse. Wondering where to buy fuses? Wonder no more, thanks to Bay Power’s extensive inventory. 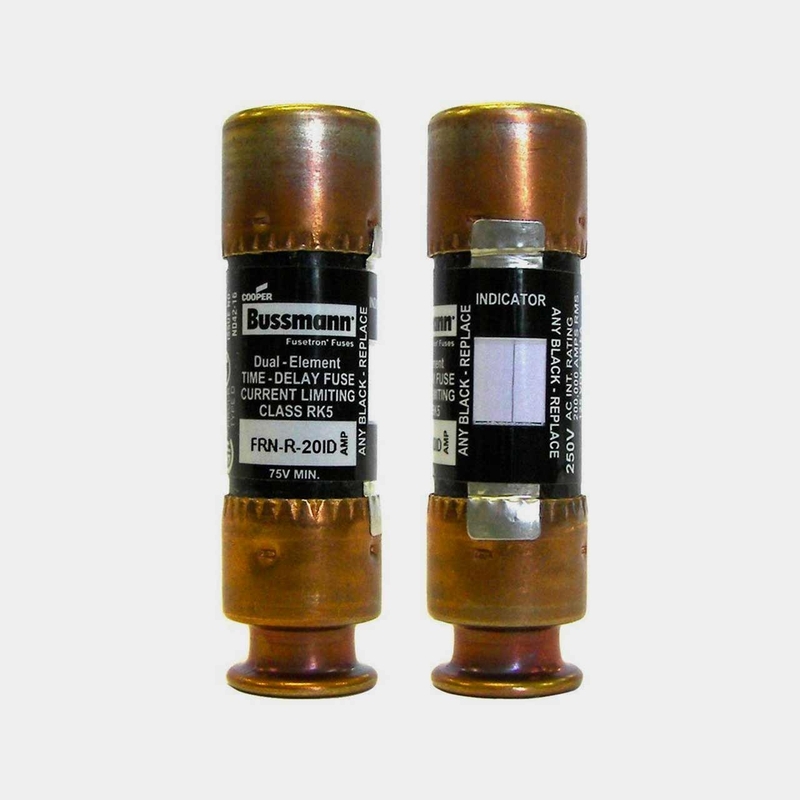 We proudly carry a wide variety of both new and reconditioned fuses from Bussmann, one of the industry’s top manufacturers. 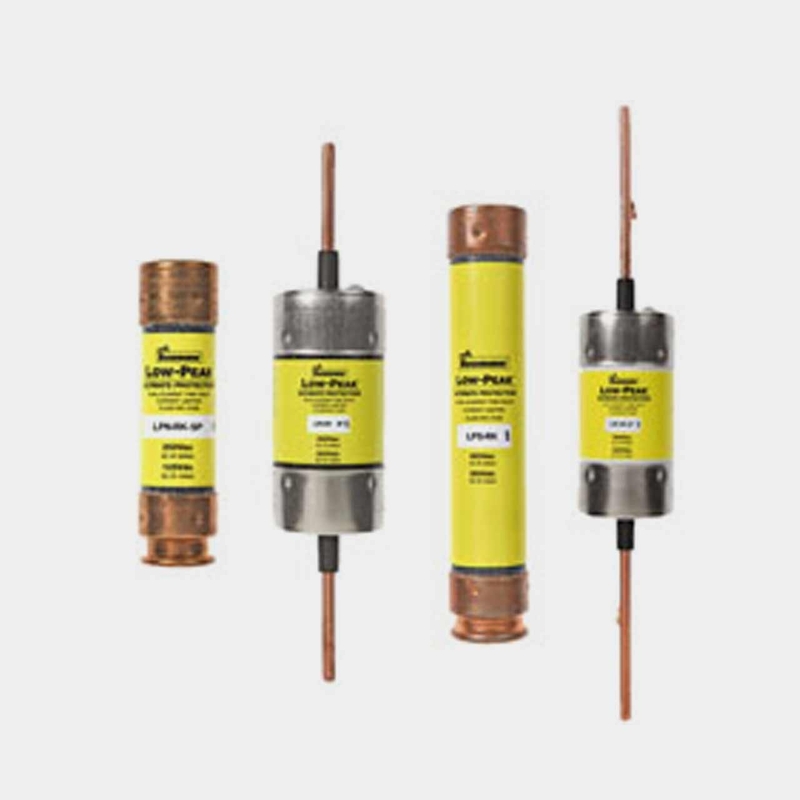 Whether you’re looking for a 30 amp or a 250 amp, a Class CC or a Class RK5, a low voltage fuse or a high voltage fuse, you don’t need to look any further than Bay Power. Low voltage fuses are rated at less than 1,500V. They can be either time delayed or fast acting. Available across a number of fuse classes, low voltage fuses are used to protect circuits across a number of applications including panelboards, apartment complexes, switchboards, AC drives, DC drives, and motor circuits. 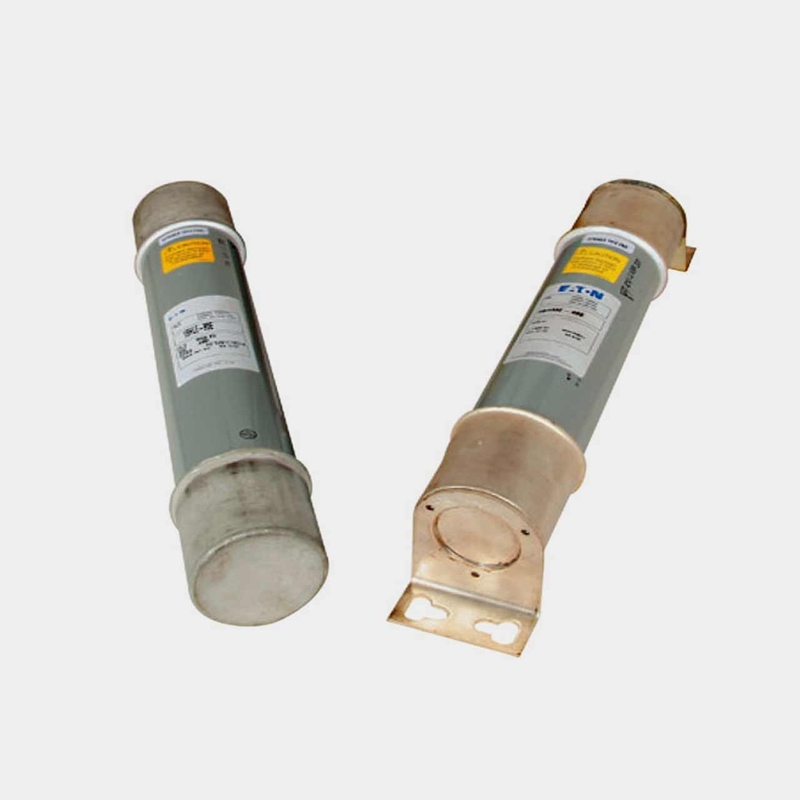 Medium voltage fuses have voltage ratings between 1 kV and 1000 kV. They are available in a much larger selection of voltage ratings, whereas low voltage fuses are typically only available as either 250V or 600V. Medium voltage fuses are ruggedly built to withstand the demands of medium voltage applications, but are only meant to protect against short circuits, not overloads. Used in high voltage switchgear, high voltage fuses carry voltage ratings exceeding 10,000V. HV fuses can be current limiting (backup or general purpose) or non-current limiting (expulsion fuses). 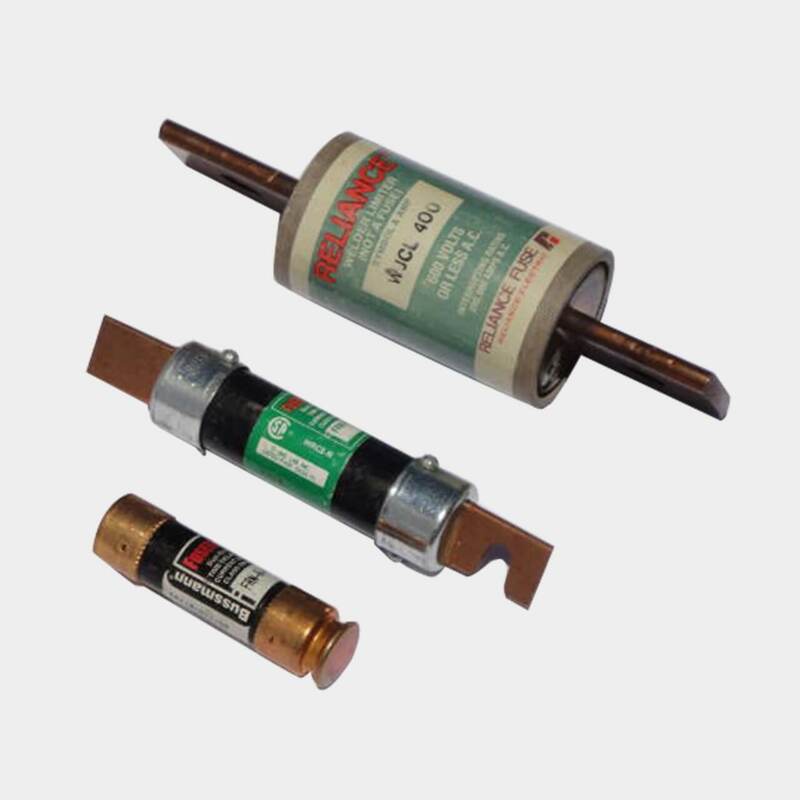 One of the most common types of HV fuse is the high voltage HRC fuse which uses a special type of mechanism and materials to interrupt large currents. A current limiting fuse uses a high level of resistance when the fuse element has melted during an overload. They can typically be categorized into one of the following three types: backup, general purpose, or full range fuses. 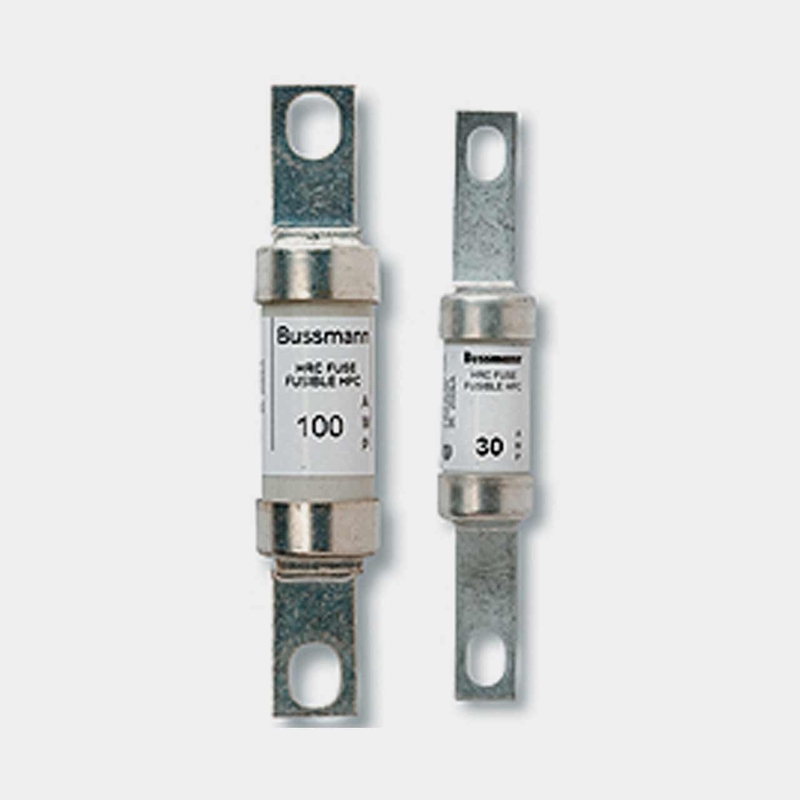 Current limiting fuses are available across a wide variety of classes and are commonly used to protect transformer circuits and feeder circuits. Popular voltage ratings include 250V and 600V. Though physically small, dual element fuses are high performance fuses. They are a popular choice for motor circuits as they are able to withstand the temporary overloads associated with motors. Dual element fuses also have the advantage of being sized significantly closer to the motor load, where a single element fuse would need to be sized up to 3x the motor load to accommodate these temporary surges. All dual element fuses are time delay fuses. While all dual element fuses are time delay fuses, not all time delay fuses are dual element fuses. Time delay fuses allow for a temporary power surge without blowing or melting the element. They share many of the same characteristics as dual element fuses and are also used for the protection of motor circuits. Have any old or unused Fuses lying around? Don’t get rid of them just yet. While we stock a wide range of quality electrical products and solutions, both new and reconditioned, we also buy back your unwanted equipment. So, before deciding what to do with your old Fuses and components, have one of our expert technicians take a look to see if we can save a few parts, save the environment, and save you some cash. Great service shouldn’t end after the purchase. We pride ourselves on the relationships we build with our customer-first mentality and the quality of our Fuses and components. That’s why we offer a 1-year replacement warranty on all of our electrical products and solutions from the top manufacturers. Because when you buy with Bay Power, you buy with confidence. We are proud to stock a variety of competitively priced, new and reconditioned components from the leading manufacturers of Fuses. Thanks to our extensive inventory of Fuses and components, our resourceful and expertly trained staff will always be able to get the products that you need. Through our extensive network of suppliers, we are able to carry and acquire a huge variety of electrical products and solutions, so chances are if you need it, we can get it. Bay Power’s priority is providing you with reliable, high quality electrical hardware. That’s why our mission is to make sure our reconditioned electrical products and solutions function as perfectly as the day they were built. Because while the quality is high, the cost of Fuses shouldn’t be. Our selection of new surplus Fuses may not arrive brand new in a box, but they function just as well, and have never had electricity run through them. All of the quality, none of the packaging, always with our 1-year replacement warranty.